I wish there was a way to capture the ambiance right now. 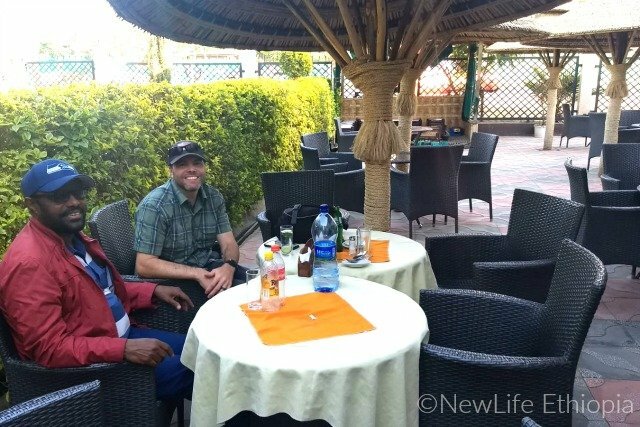 Seems strange to be saying that in the heart of Ethiopia where food can be, well, interesting and the physical amenities… one learns to adjust. But right now the weather is perfect, we had a nice meal and Jason, Jeff and I are sitting outdoors in a lovely courtyard with palm trees swaying. Ahhhh, missionary life. 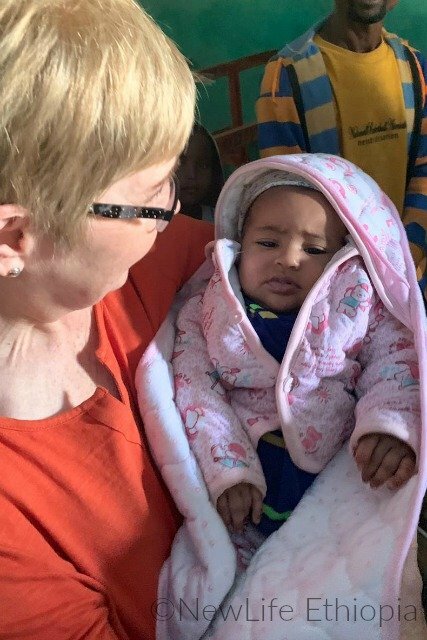 Our day started early as we headed into the hills to visit a church established three years ago when God used a tragedy to bring revival (read about it here). As it has been every time we are privileged to be with these believers, the worship was exuberant and heartfelt. Everyone in the church is a former M*slim believer and radically shares their newfound freedom to love Jesus as Messiah and to know they have eternal life. A distinguished gentlemen shared his testimony about leaving the Islamic faith and coming to faith in Jesus. 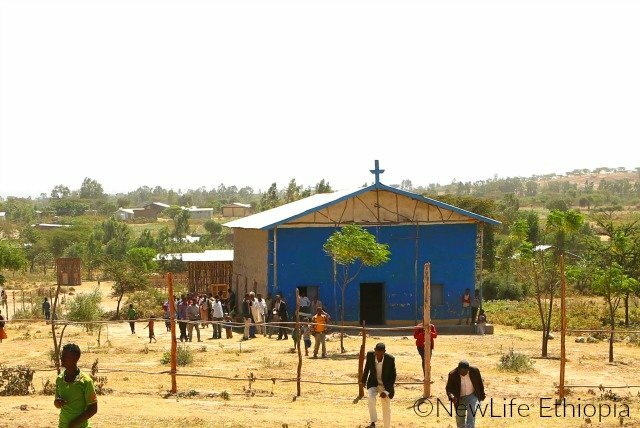 He is from another nearby village and said many people were interested in the Christian faith but there was no place to call a house of prayer. He donated wood for construction, but challenged the established church to please help them build a house of worship for the 30 or so current believers and he knew many more would come. 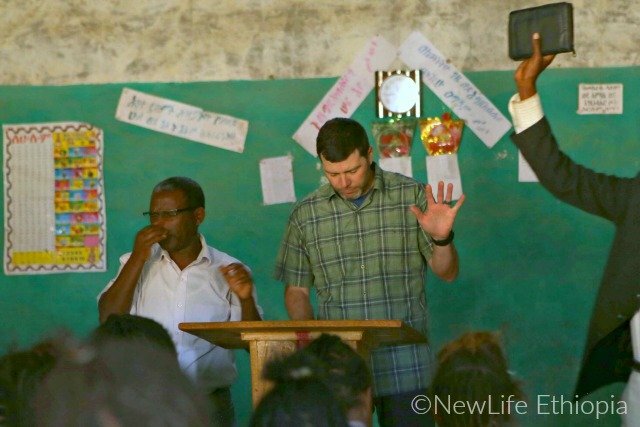 Jason challenged the congregation to dig into God’s word daily and be diligent to teach it to the children, preaching through two interpreters. He nailed it! There are so many children. In a month or so, we will initiate children and youth programs in this setting once we get teachers identified and trained. In this tribal society, a new baby is named by the church congregation. Pastor A took the baby and walked through the room asking for suggested names and taking a vote. 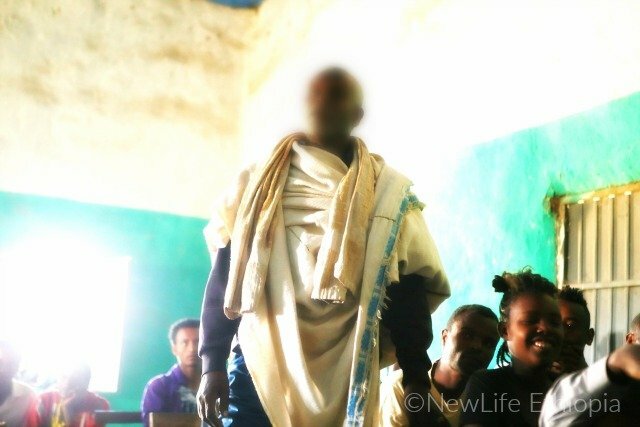 Overwhelmingly, much to my astonishment, they named the little girl Desta – after me, they said! Desta is ‘Joy’ in Amharic. What an honor to have a namesake raised to love the Lord Jesus in this precious church. The drive to this outpost was bumpy, dusty and long and we are glad to end the day in this little oasis. Tomorrow early we are off again to really, REALLY remote villages that can only be accessed by 4WD or motorcycle. I was a bit disappointed that the motorcycles got nixed, but we are too many and a bevy of white people on motorcycles would draw unwanted attention. So, we will tackle the trip with our trusted Land Cruiser. It will be a long day, but we are eager to meet the many missionaries we have come to know and consistently pray for.